Amongst many questions I’m asked when I have a new book out, the above two are the most frequently asked. So I thought this time round I’d get ahead of the game and explain what set me off with my latest novel – The Real Katie Lavender. My starting point was a few years ago with the television programme – Who do You Think You Are? Seeing the trailers for it and reading how popular it was, I tried watching an episode and found myself becoming increasingly annoyed. I never watched another episode but those trailers kept popping up, showing an endless succession of teary celebrities who had apparently been greatly moved by the lives of ancestors they’d never known or even heard of before the making of the programme. At the same time I was aware of the growing fascination for people to poke about in the dusty cupboards of their family trees. You’ve only got to go online to see that genealogy, family trees and family history is all the rage. For a time it seemed that everywhere I looked, people were looking to the past, wanting to know about long since dead relatives, as though seeking an answer to something. And the thing was, I got irritated every time I saw or read anything about the subject, which puzzled me because I love writing about families, along with the way childhood shapes us as adults. So I asked myself two questions: Why did it bother me that other people were so interested and cared so much about past generations? And why, as a writer, wasn’t my inherent nosiness in other people’s lives roused in the same way? The answers didn’t come to me overnight, but in a gradual process; it was a dawning realization that I don’t look to the past because I’m much more interested with today and tomorrow. Knowing that a relative two hundred years ago might have been a writer or an artist, or was put in prison for stealing a cow after running off with an archbishop holds no interest for me. Because what does it matter? What possible difference does it make? Does it change the person I am today? Does it excuse or justify a latent trait I might have for stealing cows because I can claim it’s in my DNA? Whatever has gone before is in the past as far as I’m concerned. In short, I don’t need to know where I’ve come from to know where I am today. It’s as simple as that. That’s not said out of arrogance, but of acceptance. 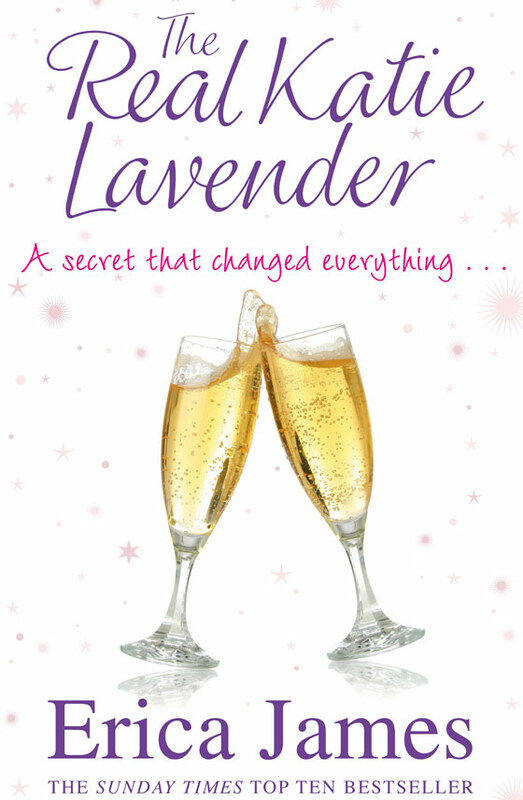 I hope you’ll enjoy reading The Real Katie Lavender as much as I enjoyed writing it. The Real Katie Lavender published in hardback by Orion Books on 10th November, 2011.